Bioengineering majors at Rice University are aiming to create a device the size of a wristwatch. April 15, 2019 | By Patrick J. Parks, M.D. Ph.D.
March 12, 2019 | By Maggi Tebrake, Ph.D. The applications for devices using microﬂuidics are varied with examples such as pathogen detection, chronic disease monitoring, cancer screening, genetic biomarker detection, food and environmental monitoring. 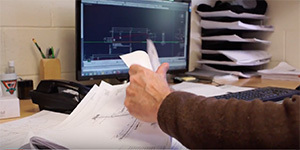 Selecting a design partner and material supplier you can trust to deliver consistent materials, evolve as the market changes, and that you can rely upon to solve a variety of challenges is crucial to success. Read more. The skin is a dynamic organ, reﬂecting who we are in the presence or absence of a health condition or disease. As the largest organ in the body, skin is critical to the maintenance of our bodies and our health. For medical device engineers, skin should never be an afterthought. Instead, it should be a core consideration for the use of any medical device that interacts with or adheres to the skin. Read more. 3M touches virtually every part of your life. Yet you’re probably only aware of a fraction of those touch-points. With medical dressings that help wounds heal faster, reflective materials that make our roadways safer, and even stethoscopes that listen to astronauts’ heartbeats in space, our people and technology make the impossible, possible. Every day we apply our science to make your life better. 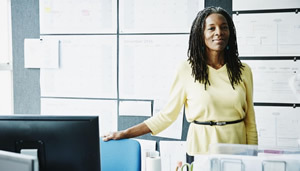 With over 55 years in the medical adhesive business, 3M is uniquely qualified to help you choose the right skin adhesives and navigate your way to market with confidence. 3M Medical Materials and Technologies helps healthcare manufacturers design and build more reliable, innovative and feature-rich medical devices. Adhesives play a critical role in the success of a medical device, whether it’s holding the device together or adhering it to the wearer’s skin. But with so many adhesive products available, it can be a challenge for design engineers to know which one is right for their project. To help bridge this critical gap, 3M developed a “Find My Adhesive” product selector tool to help make medical adhesive selection a simpler process. Start exploring the tool today. If you’re designing a medical device that needs to stick to skin, there is a lot to consider. Watch now to learn about adhesive considerations when designing wearable medical devices. Adhesives play a critical role in the success of a medical device, whether it’s holding the device together or adhering it to the wearer’s skin. But with so many adhesive products available, it can be a challenge for design engineers to know which one is right for their project. 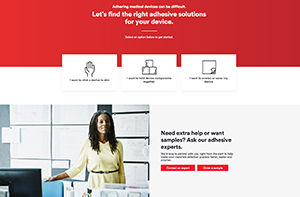 To help bridge this critical gap, 3M developed a “Find My Adhesive” product selector tool to help make medical adhesive selection a simpler process. Start exploring the tool today.